My room is beautiful. It’s the type of room I love, airy, spacious and romantic, don’t get me wrong as I will always be partial to the Hudson Hotel in NY, but this is just one of those "oh so beautiful things". 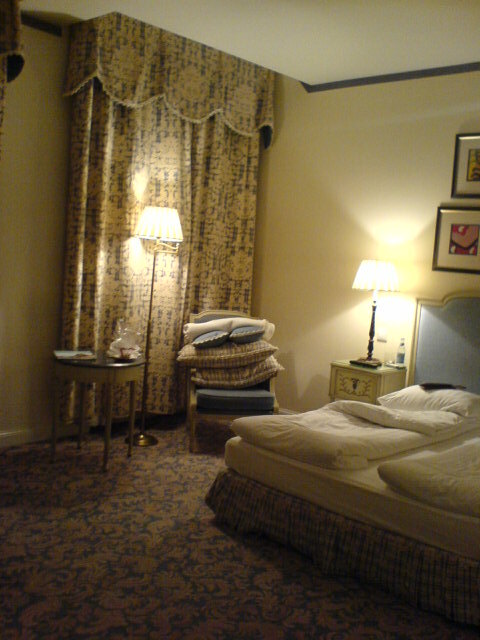 Hotel in Budapest Hungary Ooooh I love my hotel room perfect for yoga, nice carpet. So the internet isn't free but it's so nice here and the staff are so kind! Thanks for sharing your blog, can’t you post a little more tour photo’s of Billy Idol. The fans found the way to your blog and we would be very glad if you do so.